Introducing Lonely Astronaut Records Joseph's new label home. This time around Joseph Arthur has taken his career matters into his own hands. With help from old friend and long time music industry insider Eric Gerber and Joseph's professional partner Lauren Pattenaude they have founded their own label - Lonely Astronaut Records, which will be distributed by RED/Sony. "Starting a label is crazy, everyone tries to talk you out of it," Joseph commented. "Our plan is to put great records out often. There is a new sense of freedom blossoming out of this venture." 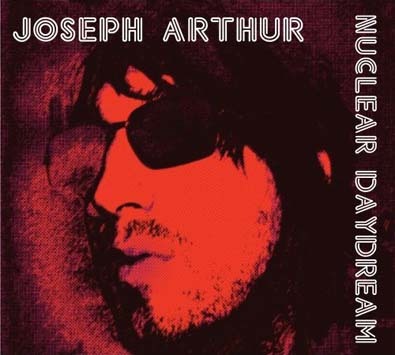 Besides scheduling the release of Nuclear Daydream, Joseph is currently putting the finishing touches on yet another new album, which he looks to release in 2007. Joseph Arthur will begin a full U.S./Canadian tour in support of Nuclear Daydream on September 25th in Philadelphia at World Cafe Live. The tour is expected to hit over 28 cities and run into November.